Among Jesus’ many teachings we find this, rather harsh-sounding, invitation: Whoever wants to be my disciple must deny himself, take up his cross daily, and follow me. Whoever finds his life will lose it, and whoever loses his life for my sake will find it. I suspect that each of us has a gut-sense of what this means and what it will cost us; but, I suspect too that many of us misunderstand that Jesus is asking here and struggle unhealthily with this invitation. What, concretely, does Jesus mean by this? We can take up our cross when we begin to believe in the Resurrection. First, it means accepting that suffering is a part of our lives. Accepting our cross and giving up our lives means that, at some point, we have to make peace with the unalterable fact that frustration, disappointment, pain, misfortune, illness, unfairness, sadness, and death are a part of our lives and they must ultimately be accepted without bitterness. As long as we nurse the notion that pain in our lives is something we need not accept, we will habitually find ourselves bitter—bitter for not having accepted the cross. Second, taking up our cross and giving up our lives, means that we may not, in our suffering, pass on any bitterness to those around us. We have a strong inclination, almost as part of our natural instincts, to make others suffer when we are suffering: If I’m unhappy, I will make sure that others around me are unhappy too! This does not mean, as Martin points out, that we cannot share our pain with others. But there’s a healthy way of doing this, where our sharing leaves others free, as opposed to an unhealthy kind of sharing which subtly tries to make others unhappy because we are unhappy. There’s a difference between healthily groaning under the weight of our pain and unhealthily whining in self-pity and bitterness under that weight. The cross gives us permission to do the former, but not the latter. Jesus groaned under the weight of his cross, but no self-pity, whining, or bitterness issued forth from his lips or his beaten body. Third, walking in the footsteps of Jesus as he carries his cross means that we must accept some other deaths before our physical death, that we are invited to let some parts of ourselves die. When Jesus invites us to die in order to find life, he is not, first of all, talking about physical death. If we live in adulthood, there are a myriad of other deaths that we must undergo before we die physically. Maturity and Christian discipleship are about perennially naming our deaths, claiming our births, mourning our losses, letting go of what’s died, and receiving new spirit for the new life that we are now living. These are the stages of the paschal mystery, and the stages of growing up. There are daily deaths. Fourth, it means that we must wait for the resurrection, that here in this life all symphonies must remain unfinished. The book of Proverbs tells us that sometimes in the midst of pain the best we can do is put our mouths to the dust and wait. Any real understanding of the cross agrees. So much of life and discipleship is about waiting, waiting in frustration, inside injustice, inside pain, in longing, battling bitterness, as we wait for something or someone to come and change our situation. We spend about 98% of our lives waiting for fulfillment, in small and big ways. Jesus’ invitation to us to follow him implies waiting, accepting to live inside an unfinished symphony. Fifth, carrying our cross daily means accepting that God’s gift to us is often not what we expect. God always answers our prayers but, often times, by giving us what we really need rather than what we think we need. 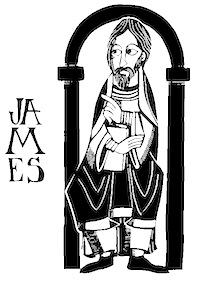 The Resurrection, says James Martin, does not come when we expect it and rarely fits our notion of how a resurrection should happen. To carry your cross is to be open to surprise. Finally, taking up your cross and being willing to give up your life means living in a faith that believes that nothing is impossible for God. As James Martin puts it, this means accepting that God is greater than the human imagination. Indeed, whenever we succumb to the notion that God cannot offer us a way out of our pain into some kind of newness, it’s precisely because we have reduced God down to the size of our own limited imagination. It’s only possible to accept our cross, to live in trust, and to not grow bitter inside pain if we believe in possibilities beyond what we can imagine, namely, if we believe in the Resurrection.